ATLANTA (Nov. 19, 2018) – (RealEstateRama) — More than 22 million people have secured new or improved housing through Habitat for Humanity since the organization was founded in 1976, with more than 8.7 million people served in the last year alone. Those are among the highlights of Habitat for Humanity’s 2018 annual report, released today, which shows how the leading housing nonprofit is addressing mounting needs for safe, decent and affordable shelter around the globe. In fiscal year 2018, Habitat helped improve housing conditions for 8.7 million people around the world through new home construction, rehabilitation, incremental improvements and repairs. Habitat’s 2018 annual report — Tools that build a better future — showcases some of the ways that safe, decent and affordable homes serve as the foundation people need to thrive and build healthier and more financially stable lives. Walter, an 81-year-old resident of the U.S. state of Georgia, is just one example of Habitat’s work in action. Last year, he took a shower in his home for the very first time. The 520-square-foot home that his father and uncle built when he was a child did not have indoor plumbing. For decades he used an outhouse at the edge of the backyard, but his daughter Francine frequently worried about his safety and well-being, especially at night and in bad weather. As part of a program that helps people stay in their homes as they age, Habitat and the local community came together to build Walter a new bathroom. They also did some underpinning to the foundation, replaced the stove and kitchen cabinets, and painted the outside of the house. All of this made a world of difference in Walter’s life. For Aishwarya and her family, small loans made possible by Habitat’s Terwilliger Center for Innovation in Shelter helped make their home in India a better place to live. Borrowing small loans allowed Aishwarya’s grandfather to purchase the materials he needed to make improvements to create a decent, safer house. Aishwarya now enjoys an improved concrete floor ready to be tiled and a roof that no longer contains asbestos. Habitat also mobilized major responses to natural disasters around the world. In the United States, the 2017 hurricanes Harvey, Irma and Maria caused extensive housing damage in the United States. The multi-year Habitat Hammers Back initiative is helping communities in Texas, Florida and Puerto Rico on their long roads to recovery. 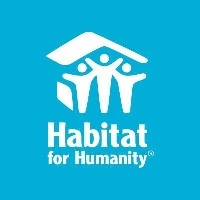 Habitat supporters also used their voices to support affordable housing policies, with an additional 2 million people potentially benefiting from Habitat’s advocacy work, chiefly through the Solid Groundcampaign which has improved the way people access land for affordable housing around the globe. Habitat’s work is made possible thanks to its donors, supporters and the more than 1.4 million volunteers who worked alongside families in all 50 states and in more than 70 countries to build or improve a place to call home. To learn more and to read the 2018 annual report, visit: habitat.org/multimedia/annual-report-2018.